Wondering, why and how I suddenly got the chance to travel to Hong Kong and Macau? Then you should keep an eye out for the whole story that will be posted up next weekend! Okay, so back to today's topic! Just a few minutes ago I was reminded by Qaph for the review of an exfoliant that I was meant to try out couple months back. First of all...thank you Qaph for being so patient with me and understanding my packed schedule. Yea... juggling a few things at one time kind of makes you forget many things in between. My sincerest apologies for that. So without further a due, let me share with you, what I think and feel of the Paula's Choice Skin Perfecting Exfoliant. Before I begin using the product, Qaph gave me clear instructions on how to gradually use the product as it is quite 'strong' considering that there is Salicylic Acid in it. After the first day applying the product on my skin, I had to gap it out 1-2 days before I used it the next time. This also makes sure that your skin isn't allergic or sensitive to the product. After my third application, I could use it twice every day. I tried the product for two weeks and though it did help to clear off some of the smaller pimples, 1-2 big ones started popping up. This is supposed to be what would usually happen as this product's function as a thorough inner pore cleaner. In other words, it removes all the gunk from your skin. I also noticed that my pores became visibly smaller within the first week. So, if you do have large pores like me, probably you could try this out. 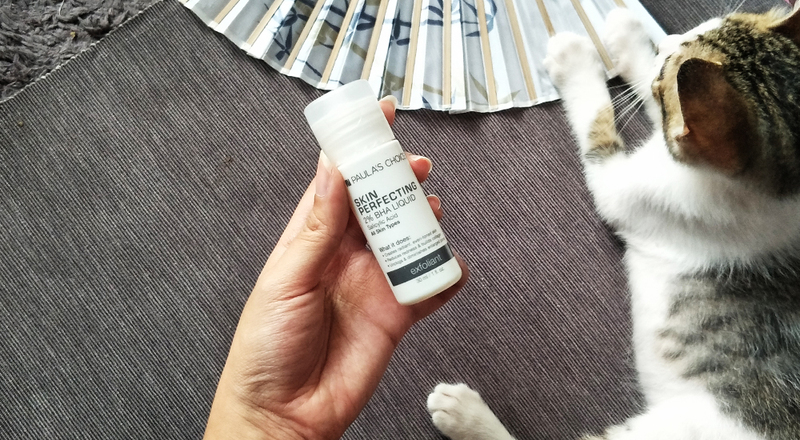 Unfortunately, I could not continue trying out the product and see its full potential as I had a few events to attend and I couldn't afford to have a non-flawless skin. There are however those who reviewed (and were patient enough to see the outcome) this product and had amazing transformations. You can check those reviews out from HERE. Do let me know in the comment box below, if you would like to try this product out or have you heard about this brand before and what are your thoughts about it. Paula's Choice is a good brand! :) i love this brand btw.